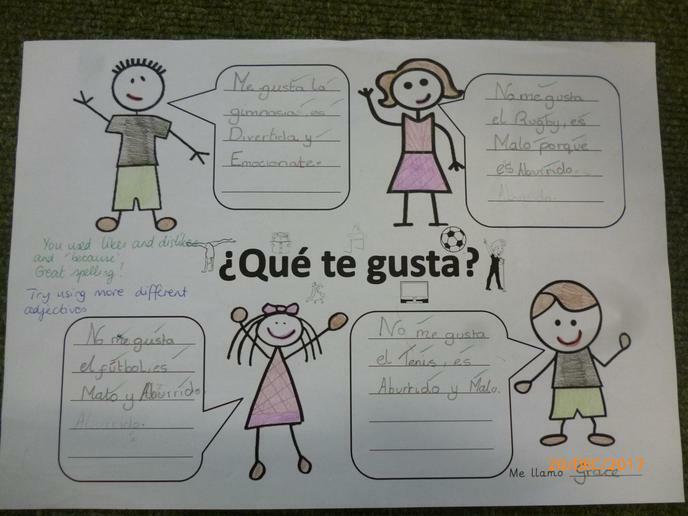 We are learning sports and hobbies in Spanish. 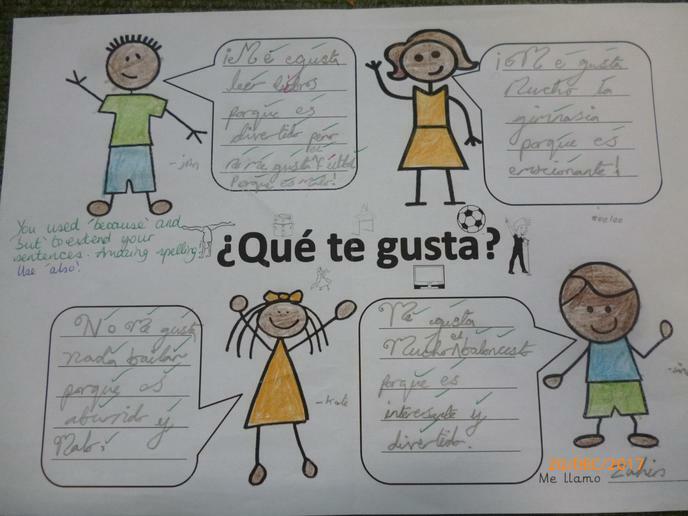 With sports, the children are identifying masculine and feminine nouns, and with hobbies, children are joining in with actions to help them remember the phrases. 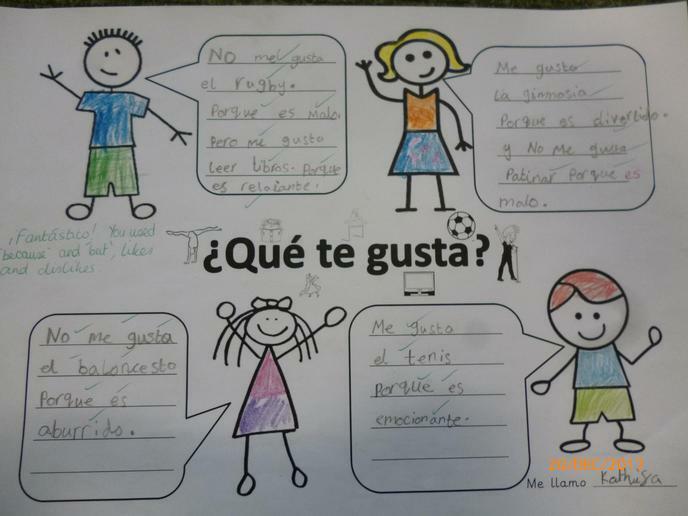 We are extending our sentences with likes and dislikes, so that we can say which sports and hobbies we like or dislike. 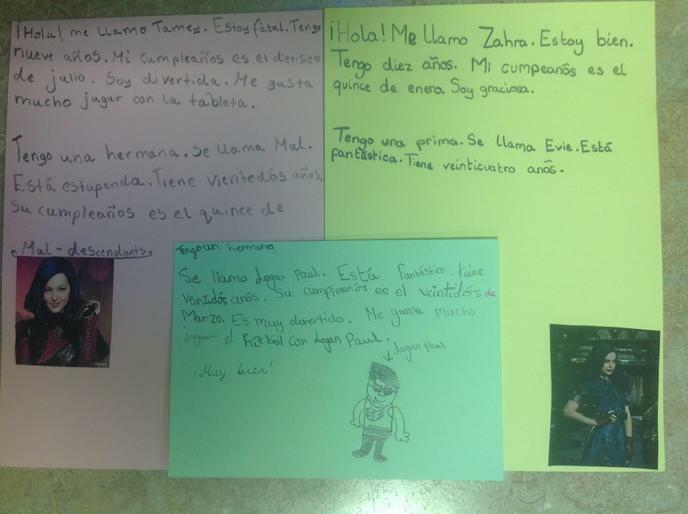 We are using Spanish conjunctions to write longer sentences: BECAUSE, BUT, ALSO. 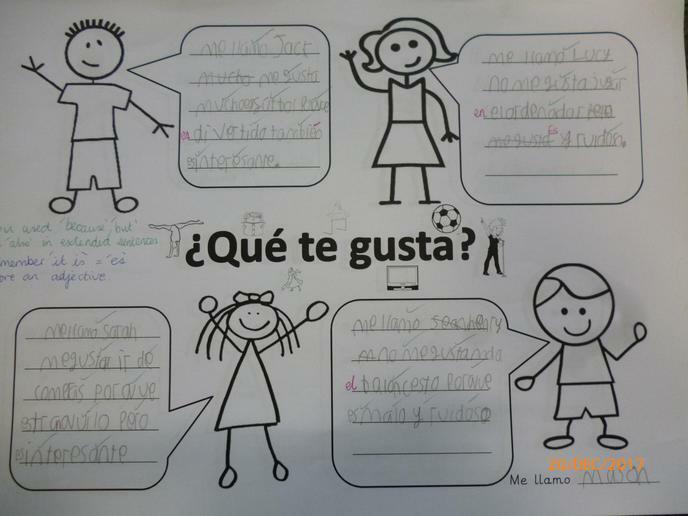 We are working towards making a film stating what we like and dislike with different activities. 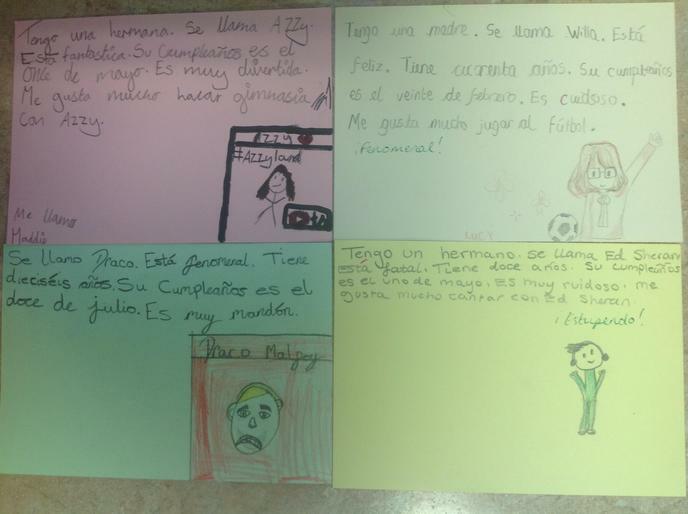 The film is on the website, under Spanish! 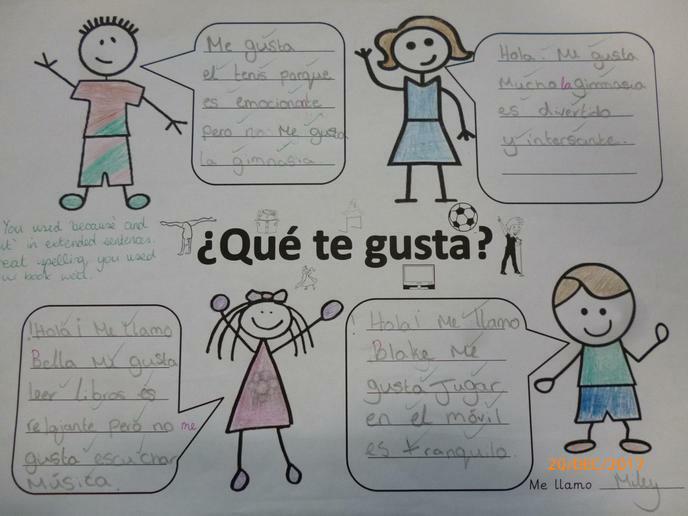 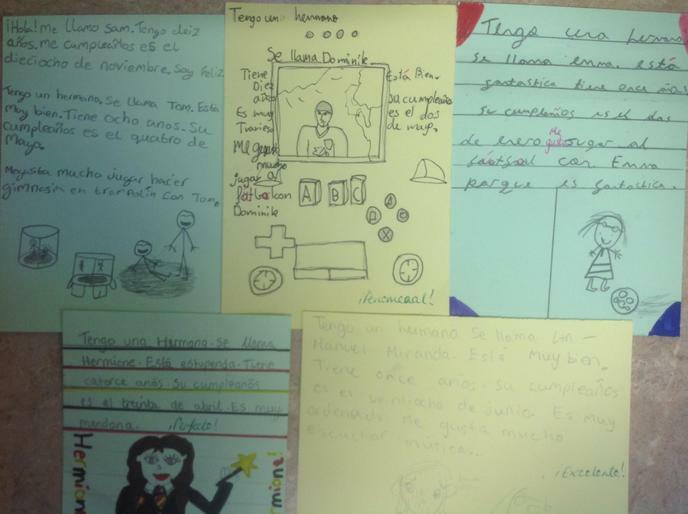 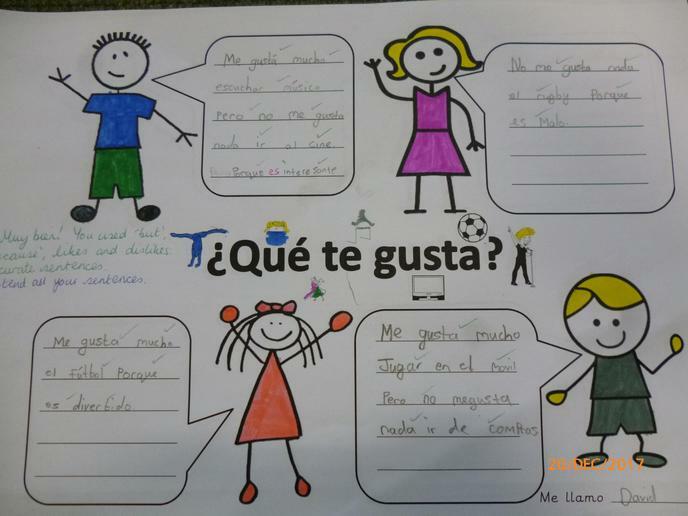 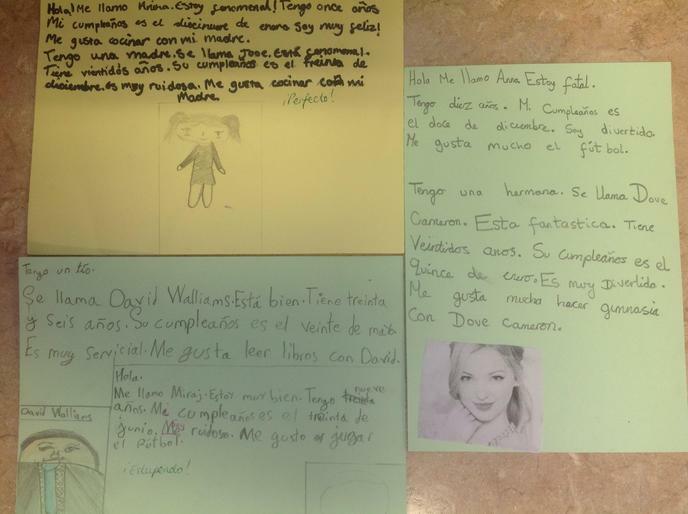 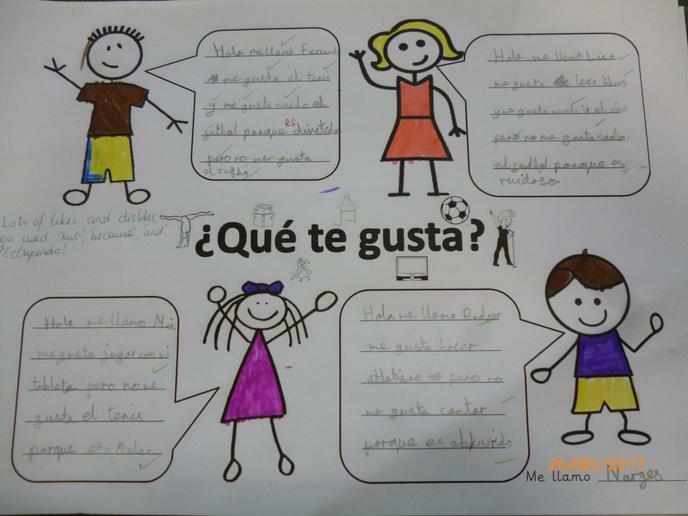 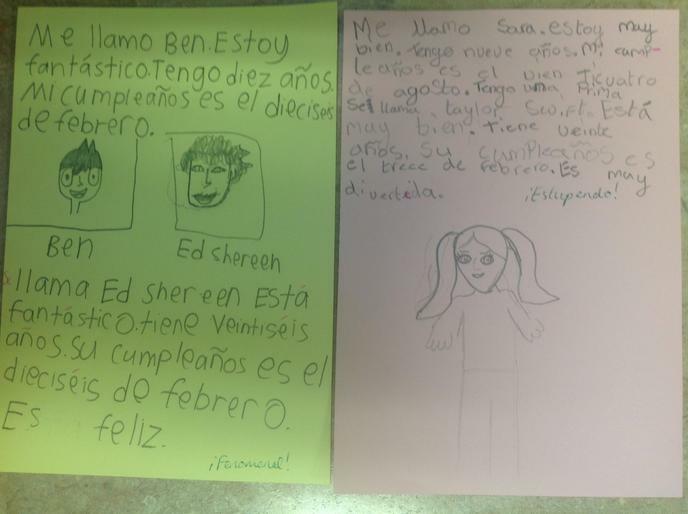 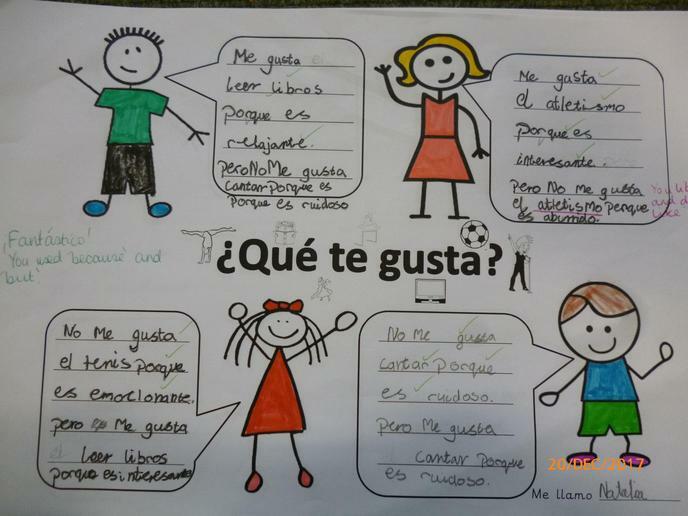 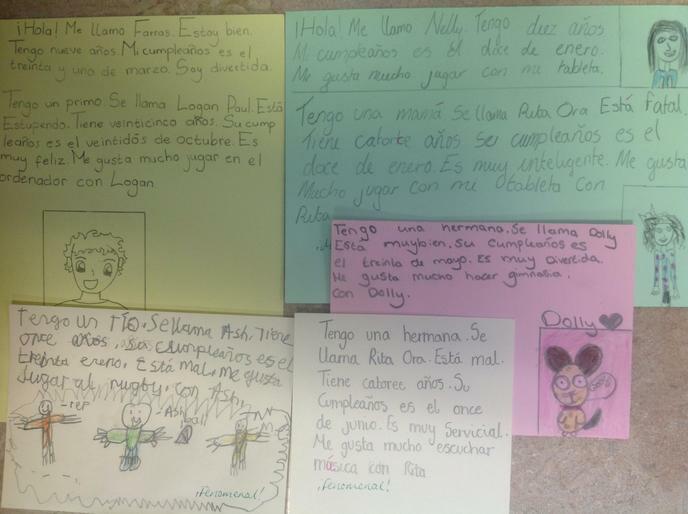 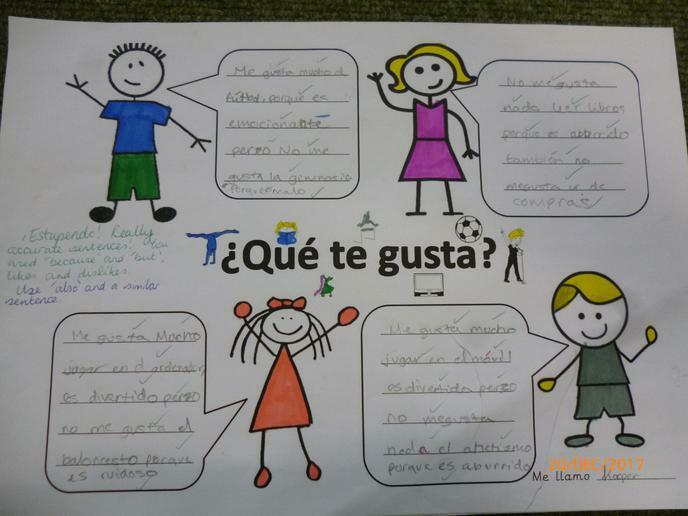 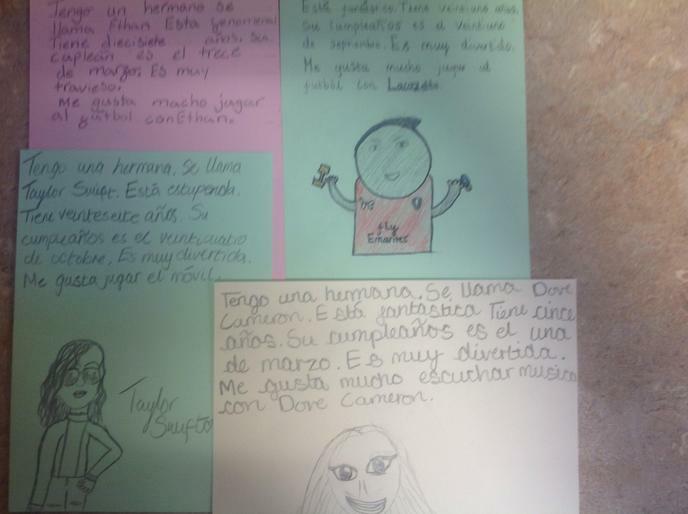 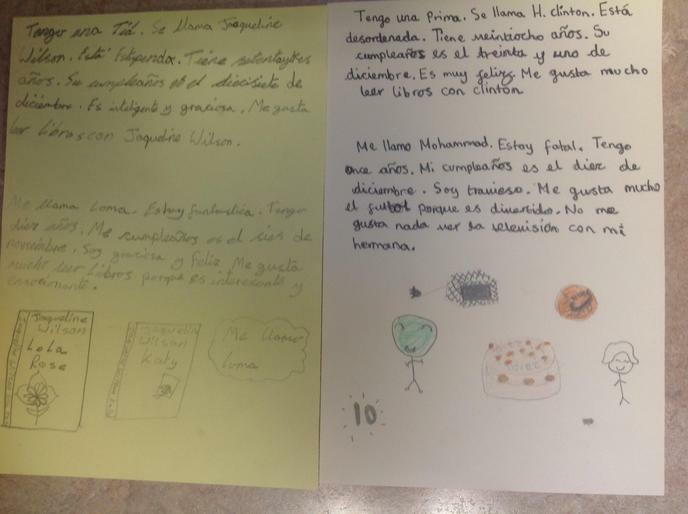 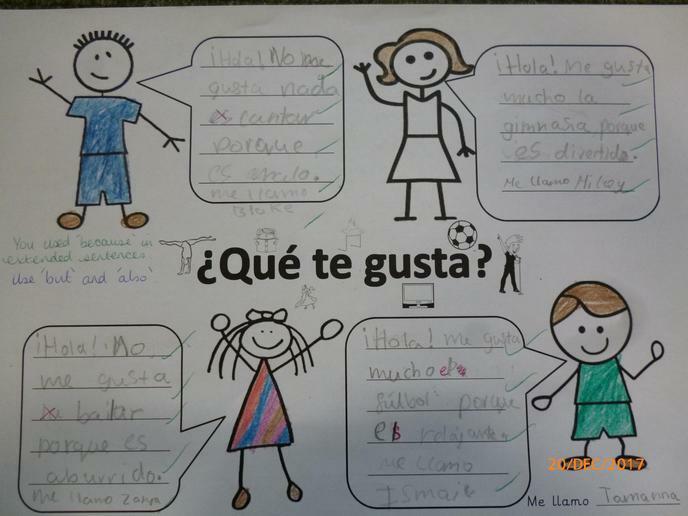 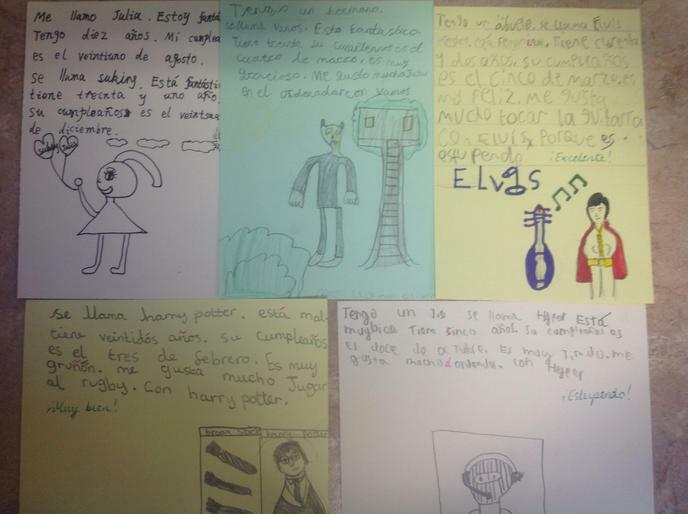 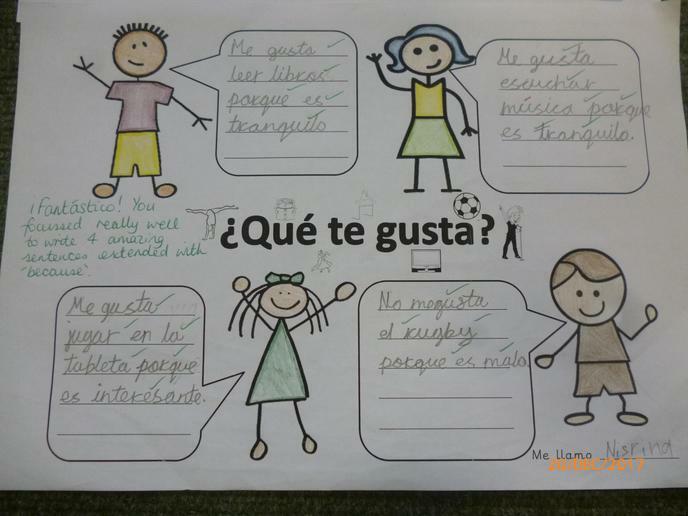 Here are some examples of our poster work, on which we wrote extended Spanish sentences. 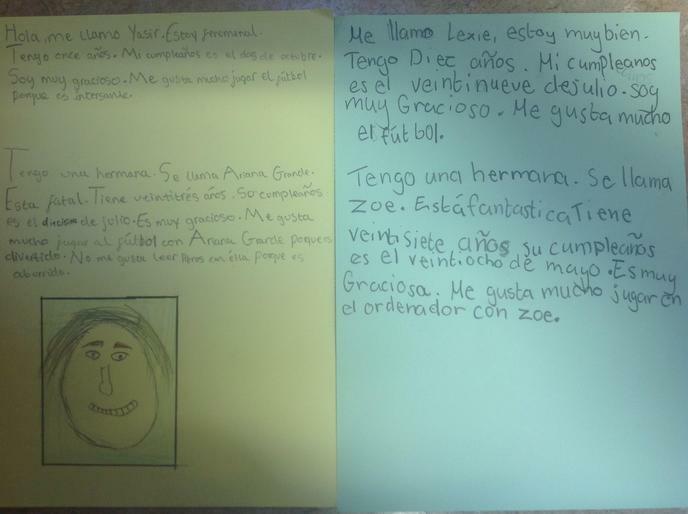 We are learning how to talk about family members using the correct indefinite article: a - un or una. 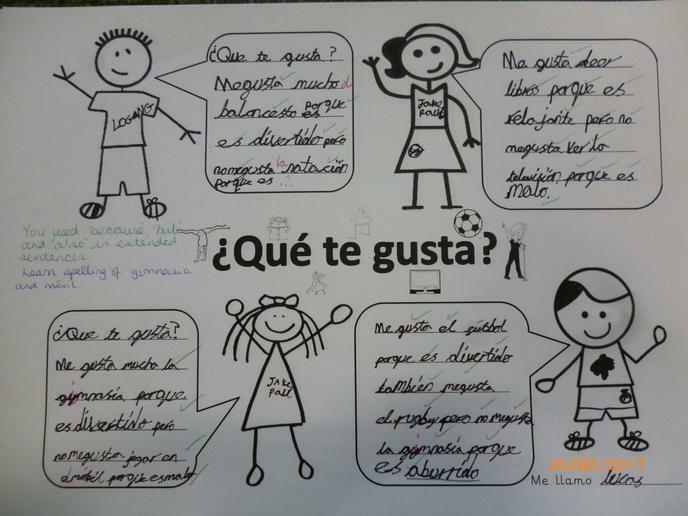 We are inventing magical, famous or sporty families. 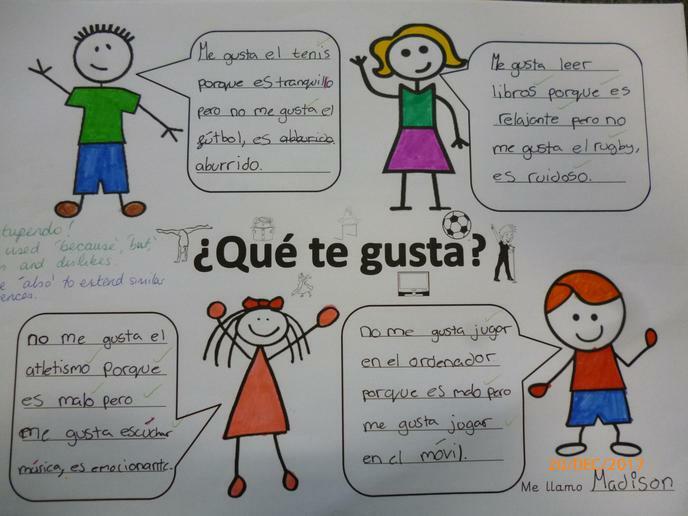 We can say the names of relations and what they are called. 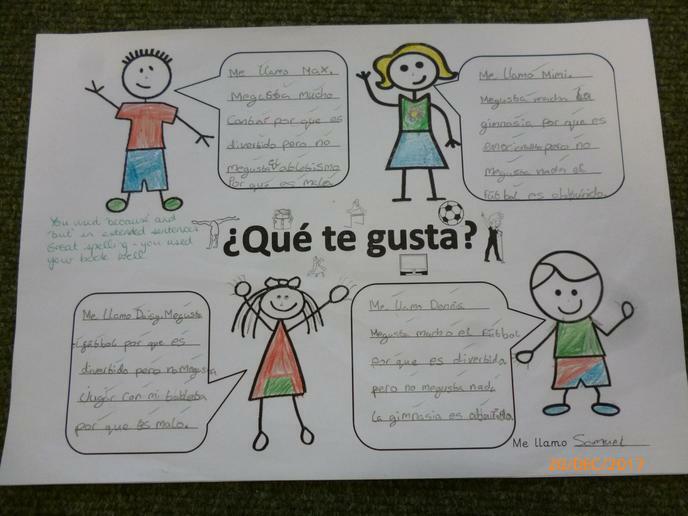 We are working towards a mini introduction of some family members, including name, age, birthday and how they are feeling. 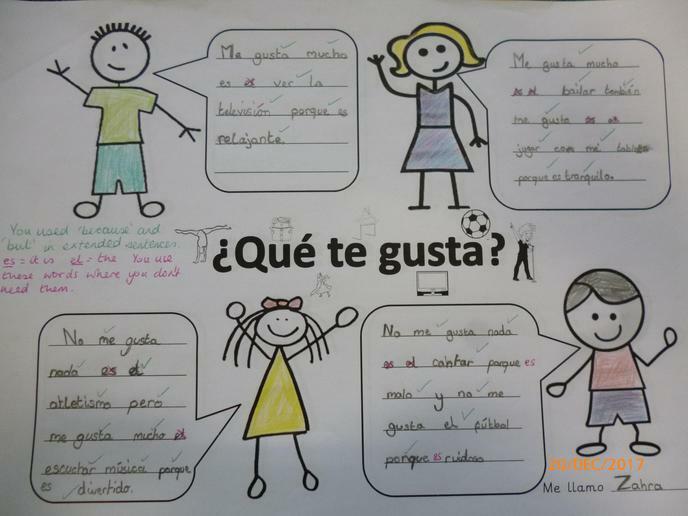 This means we need to learn to use verbs to talk about "he" or "she". 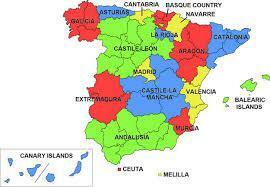 We are learning to describe where we live. 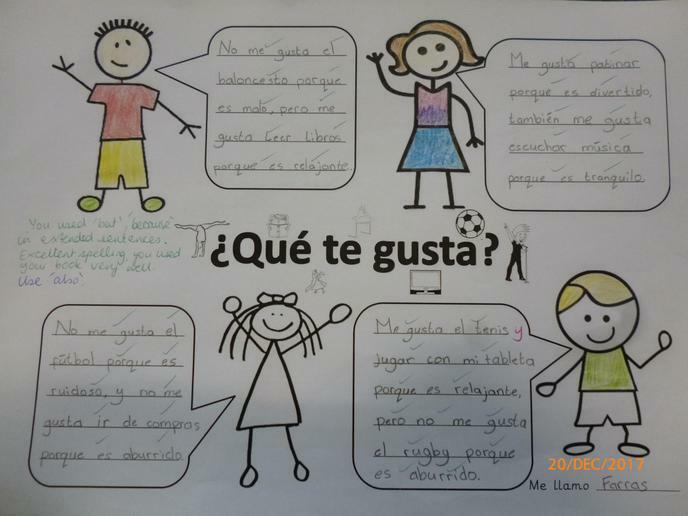 We can choose to live in different types of accommodation from a tent to a house to a palace! 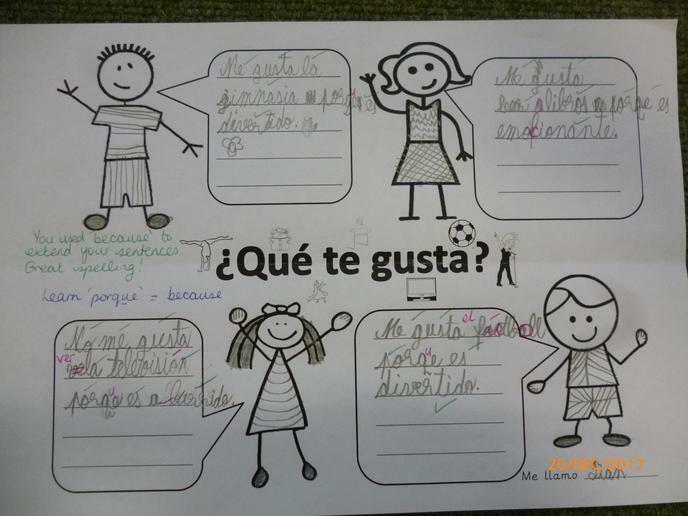 We will make a simple description of each room by using adjectives we have already learnt and using the dictionary to find out new ones. 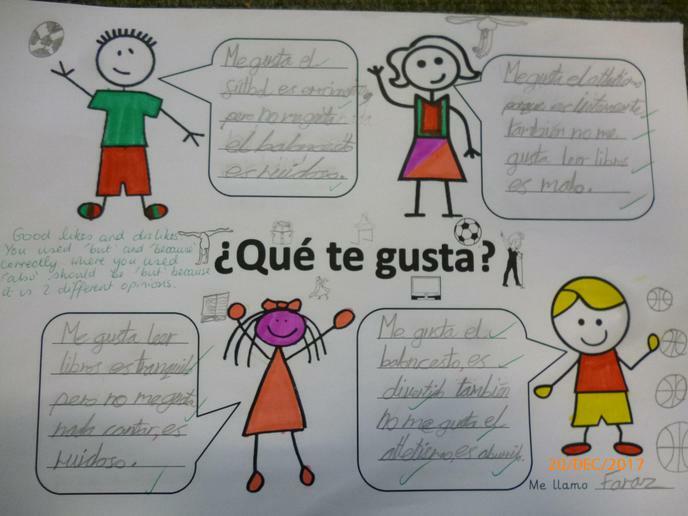 We will learn how to change verbs to say what we do in each room - remembering our sports and hobbies from the autumn term. 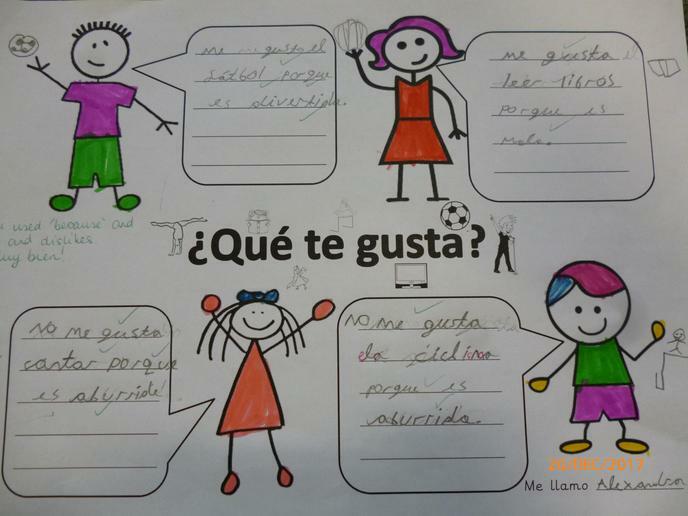 We could also talk about our (famous) family members and say what they do, for example: My sister listens to loud music in the kitchen.